March 2013, maybe something happen now with new Government? and dredging of three acres to create a yacht basin. The dredged material will be recycled as landfill for 5 acres of lowlands. Silt screens will be employed to inhibit drift of sediment to nearby Marine Park area. Cafe, Workshops, Office space, a Gas Station and Duty Free Shop. 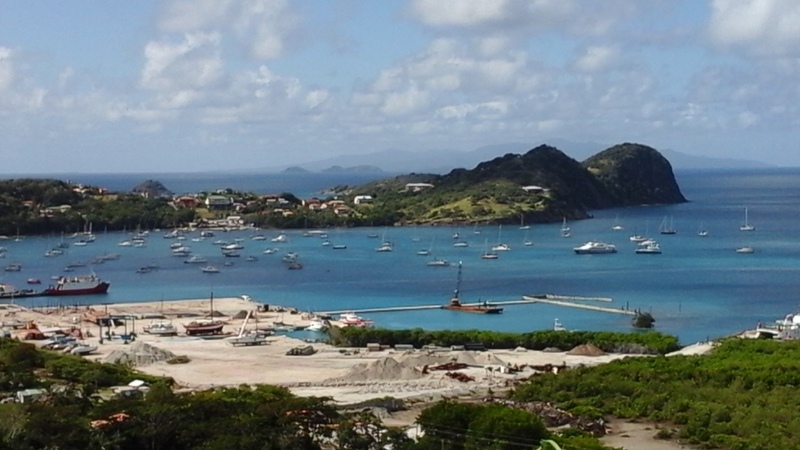 Southern Part of Marina sold to Gorvernment for port facilities. going ... going. ready for Christmas 2017.
and Marina get pontoons, put in some, but still moving sand. 36 lots for individual houses, 200 residential, 120 room 5-star hotel, a Wellness center.